The 1970 vintage continues to build on its enviably high reputation. This was a great year for Vintage Port and while some (Fonseca, and Warre, from recent experience) still show remarkably youthful traits, they are as a rule well into a wonderful spell for drinking. The ’75s are rarely seen now. They used to be found in abundance and, while on the lighter side and having spent most of their life under the ‘’drink now’’ command, they have held up with more resilience than hoped. They fit the picture as Vintage Port is never really too old, it’s a remarkable wine with amazing longevity. The ’77 vintage offers a range of satisfying drinking. Fonseca is a star, and our own-label wine made for us by Quarles Harris is drinking beautifully. In the main, it’s a vintage that never quite reached the heights it was perhaps meant to, so a good one to be getting on with. The ’80s, and from the Symington stable especially (that’s Dow, Graham and Warre, among others), are singing in perfect pitch now. No hurry, but they are in a purple patch. Wines from ’83 and ’85 have reached full maturity and offer reliably good fare. They used to be in plentiful supply but are now quite scarce and harder still to secure with dependable provenance. It’s easy to forget, but they are now well over 30 years old – tempus fugit and all that. The years ’91 and ’92 saw a “split declaration” with Taylor-Fladgate opting for the latter year; some at the time of release cynically cited the reason as more to do with Taylor’s Tercentenary than quality, but time has shown they made the right call. The 1994 vintage offers fulsome and rewarding drinking now and will continue to develop well; anyone looking for fine Port to drink through the 2020s and ’30s would be well advised to seek some out. The 1997s plod along: they don’t make very special drinking at the moment, so best let them lie longer. Vintage Port develops in cycles and their time will likely come someday. The small 2000 crop is beginning to come around. The ’03s can be immense; the heat of that Europe-wide hot summer taking its effect even on the already sun-blasted hills of the Douro. The ’07 wines can rest on, as can those of ’11 – though the latter offers the extra-warm-feeling that they have all performed well on a financial footing since release, as well as shaping up to be exceptional drinking. 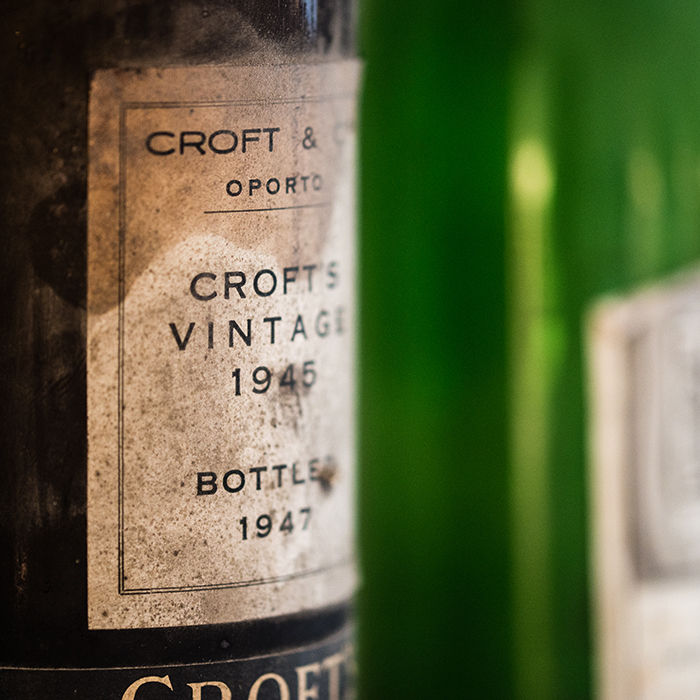 The 1963s stride on, what a magnificent vintage; Sandeman and Croft were at their finest then. Wonderful to have a few left. Please may we have a little more about the 2000 and 2003 vintages? It’s hard as I’ve not had a chance to taste many 2000s; it was a small vintage and therefore there’s not much of it around. I’ve heard they are emerging and showing well. The 2003s have always struck me as varied, as with the 2000s I’m sure 2019 will give opportunities to taste and I’ll be glad to pass any comments on.